Being gluten-free can mean turning down some of the best foods humans have created. Delicious treats like pastries, pasta, bread, fried chicken, pizza, pancakes, and pie can be off the menu. But fear not! Below are Denver locations that serve favorite comfort foods without that pesky gluten getting in the way of incredible flavor. Did we miss your favorite gluten free spot? Share your tips with the readers in the comments! Please note! If you are highly sensitive to gluten do check the menus, as some of these locations do their best to serve gluten-free but sometimes warn about cross contamination. 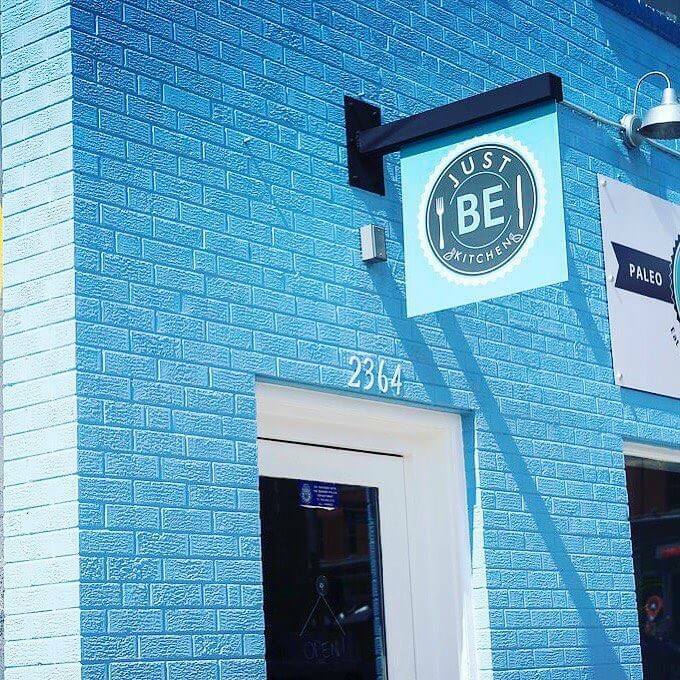 Psst… For other gluten free restaurant ideas check out the 12 places to eat Paleo and 9 Unique Sushi Spots in Denver or Where to Eat the Best Tacos in Denver posts! 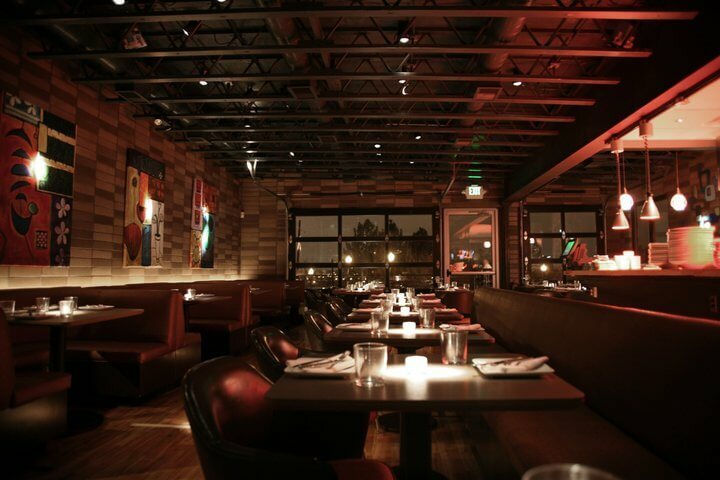 DISCOVER GLUTEN-FREE COMFORT FOOD IN DENVER! If you are craving pasta or pizza, then Kaos Pizzeria has what you are looking for. Their entire list of Fresh Oven Baked Pastas and Wood-Fired Pizzas can be ordered gluten-free. This includes the Baked Lasagna, Spaghetti and Meatballs and Mac & Cheese. Their pizzas are deliciously tempting from the Wild Mushroom to the Jalapeño Business (pesto, garlic, red onion, jalapeño, cream cheese, fresh diced tomatoes) or you can Create-Your-Own and choose the toppings to make a personalized pie. 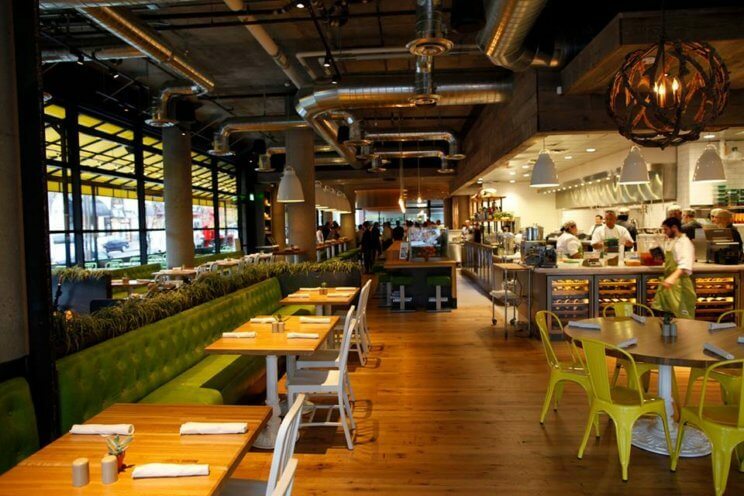 Root Down is an artsy restaurant that is committed to serving local and organic food. They have two onsite gardens that grow food for their kitchen and their sister restaruants (Linger and Ophelia’s), and they source much of their food in Colorado, working with over 55 local ranchers. Currently, their brunch menu features a a Daily Pastry that is always gluten free and Vietnamese Almond Pancakes. Their dinner menu changes with the season and they are committed to having 75% of their menu be organically sourced, so visit this great place for clean food. Psst…Their kids menu is almost completely gluten-free including the Columbian Grilled Cheese and Natural Chicken Fingers. Steve’s Snappin Dogs piles the love on the hot dogs with options like a Jersey Dog (bacon, spicy mustard, red onion, green relish and saurkraut) or the Rippin Rockies Dog (Steves Green Chili, grilled red onion, jalapeños, yellow mustard, sour cream and red onion). They can serve any of these on their gluten free bread, hotdog and kaiser rolls so you can get a GF Grilled Cheese or Steve’s BLT. Just BE Kitchen has delicious, considering how “free” they are (gluten, grain and refined sugar free). For a savory breakfast try the Biscuits and Gravy with sausage or mushroom gravy, or inhale their Baked French Toast with house GF bread, blueberries and maple syrup. 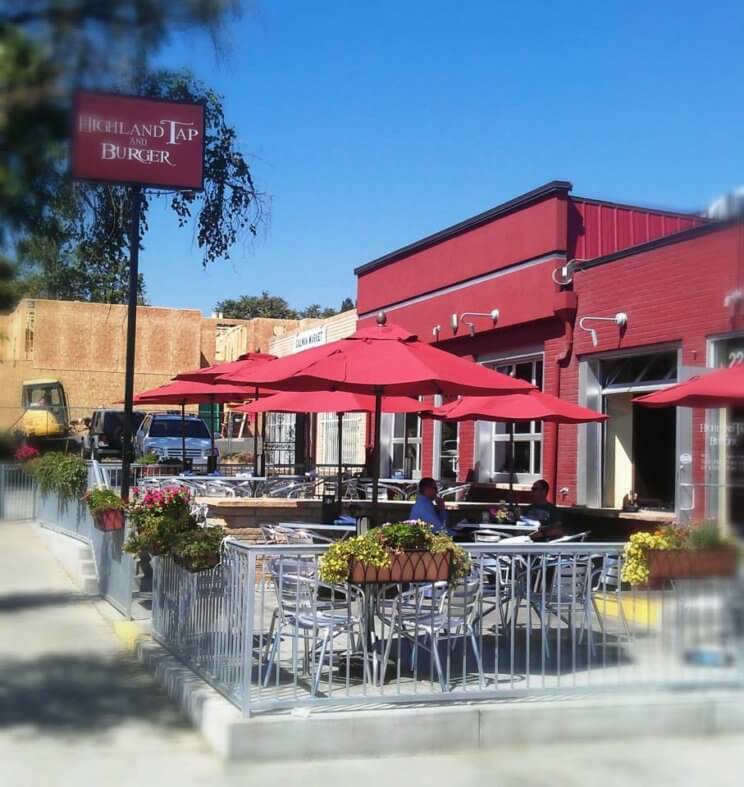 The Bagel Deli and Restaurant is a well known stop in Denver and thank goodness they are gluten-free friendly! Try the popular Egg Bagel-Dict (toasted fresh bagel or English muffin and a blanket of pastrami, topped with two poached eggs, and covered with Hollandaise Sauce) or any other sandwiches on a Gluten Free Bagel. They have a section on the menu with gluten-free options like Cheese Blintzes, Potato Pancakes or a Brownie. 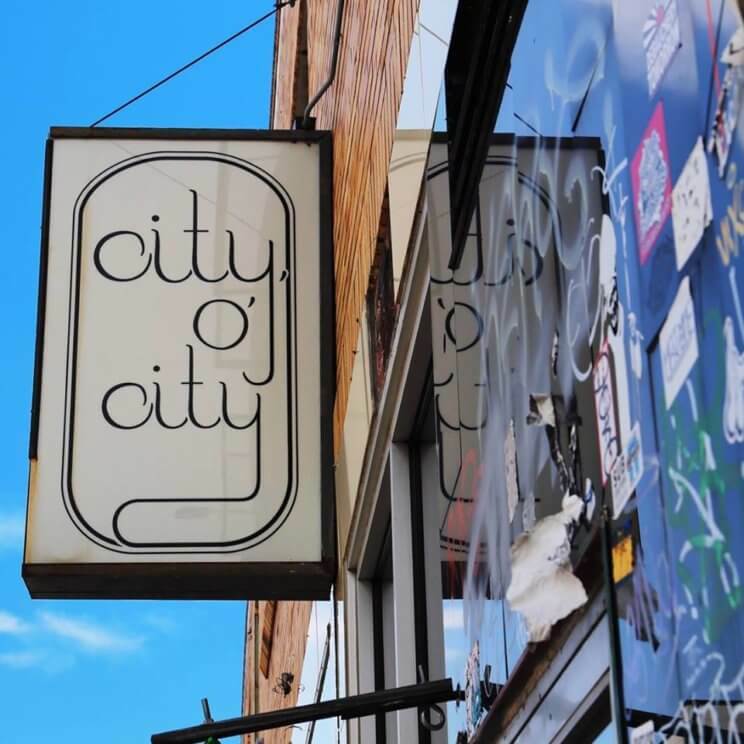 City O’ City is open from 7am to 2am, so when you get hungry for vegan Chicken and Waffles (bourbon maple syrup and chicken-fried cauliflower) or Tempeh Bacon Hash then make your way over to this restaurant. Psst… They offer a breakfast special on weekdays 7am-10am! $10 for bottomless coffee and choice of their City Breakfast (2 eggs, potatoes, toast), Huevos Rancheros and breakfast burrito are the gluten free special options! True Food Kitchen rotates their menu to feature the current seasons produce. Because they serve a lot of vegetable based dishes many of them are gluten free and you might find a twist on a favorite dish like Lasagna Bolognese (fennel chicken sausage, spinach, lemon ricotta) or Cashew Pad Thai. 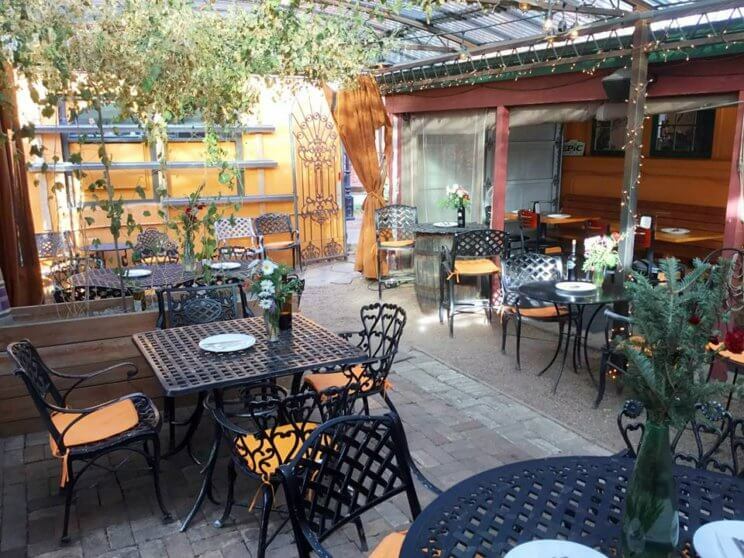 Panzano has a great reputation for creating delicious Italian food and they are thoughtful to provide a gluten free dinner, lunch, breakfast and brunch menus. They serve tempting pizzas like the Salsiccia (Italian​ sausage, pepperoni, fontina, provolone, pomodoro sauce) or Tagliatelle Alla Carbonara (Over easy egg, crispy pancetta, parmegiano reggiano). 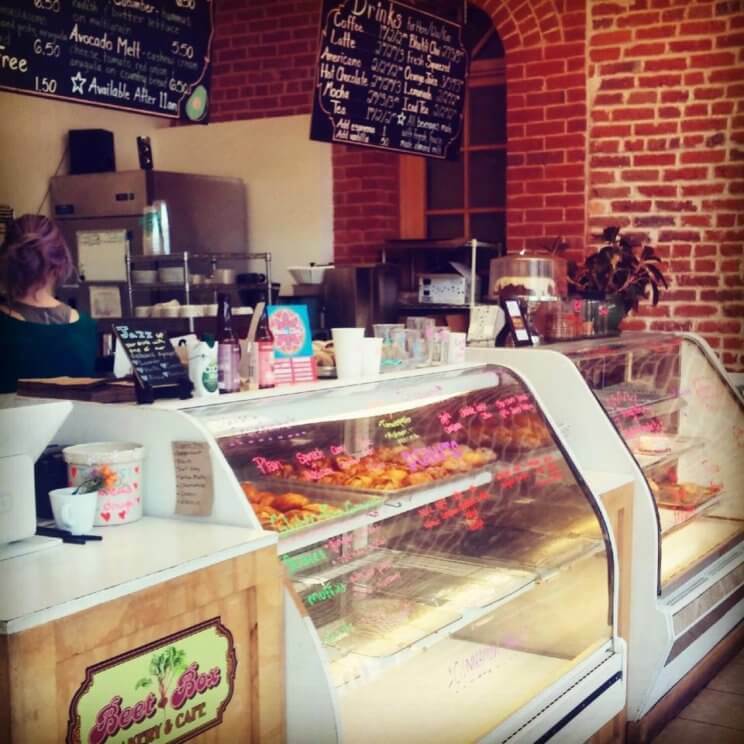 Beet Box Bakery and Cafe creates and serves vegan sandwiches and sweets! They have daily selections including Gluten Free Muffins and Scones, Turtle Brownies, and Baked Donuts to name a few. If you have a sweet tooth, this is a great spot to satiate that craving. Psst… Planning a party that needs a GF cake? They have Gluten Free Specialty Cakes including Pistachio Rose and Lemon Lavender. Swoon! 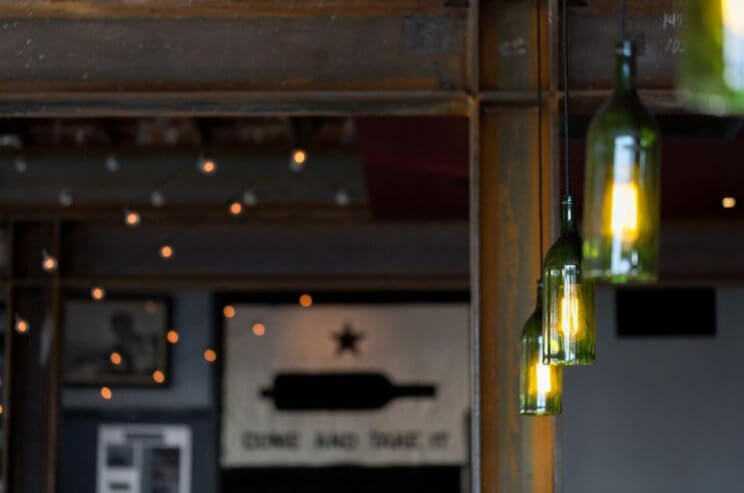 Find gluten-free comfort at MAX’s Wine Dive Denver and try the famous Southern Fried Chicken (jalapeño buttermilk chicken) and Stuffed Peppers (oven-roasted piquillo peppers, pulled pork & cotija-stuffed). As the name suggests, they also have a great selection of wine, along with beer and cocktails. 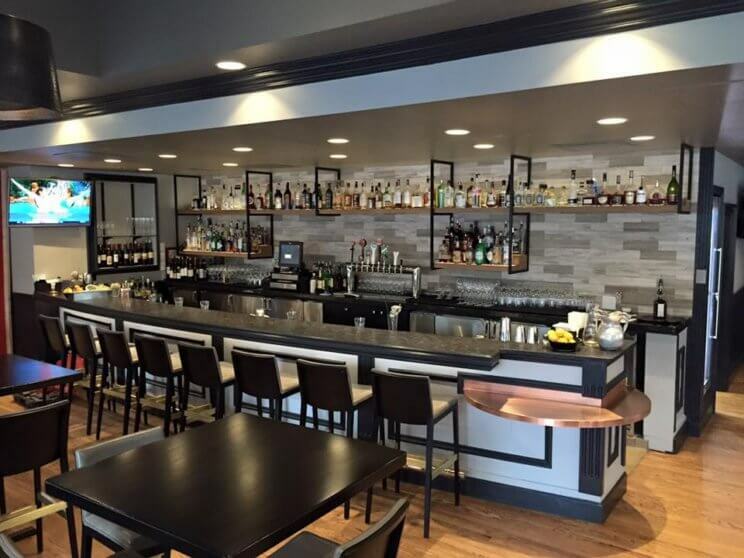 Find a jackpot of gluten-free food at Highland Tap & Burger! Try the Poutine (Chili braised goat, goat cheese curds, beer blanched french fries, covered in gravy) the Denver Burger Battle Winner Shroom Luvas (Sauteed mushroom blend with Ementhaler cheese and white truffle aioli) or the General Tsao’s Fried Chicken. As far as beer goes, they have gluten reduced beers and ciders or cocktails. Sometimes it is worth it to drive just a little further for the sweet things in life. 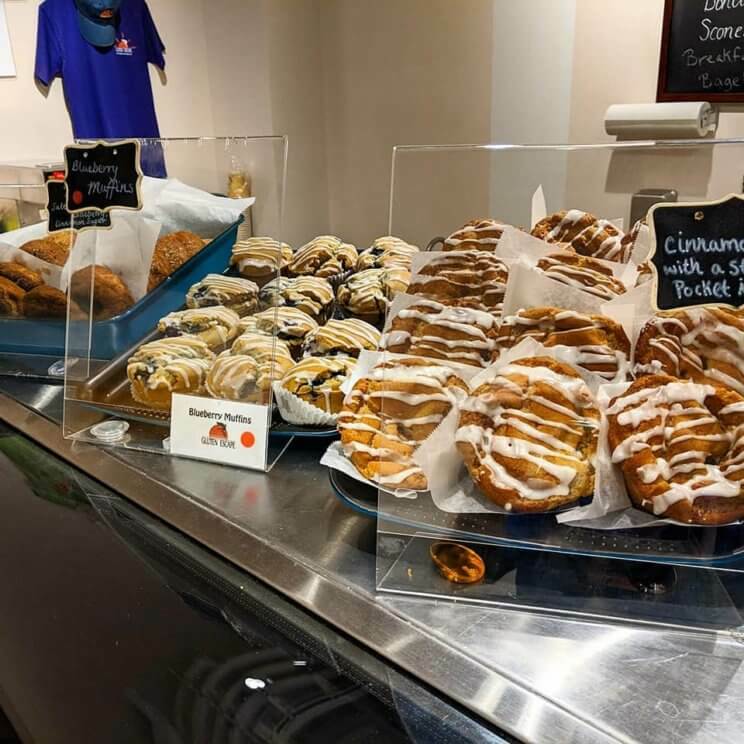 In Centennial you can find The Gluten Escape has all of the sweet things in life and without the worry of cross contamination. 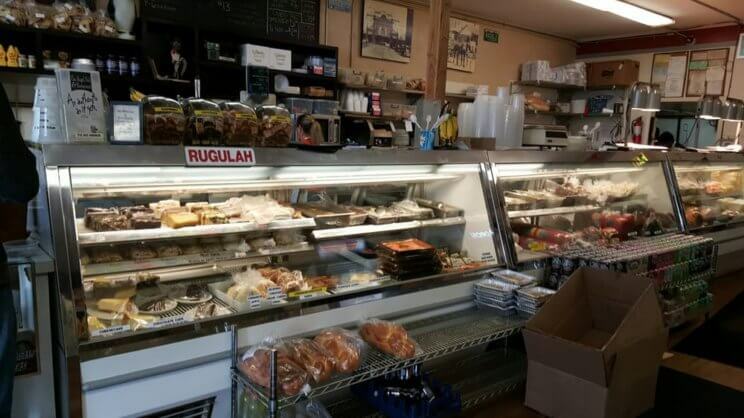 They have Pumpkin Pie, Take and Bake Apple and Peach Pie as well as classic cookie flavors and cinnamon rolls! They have a cake menu that includes holiday classics like Kings Cake and Bundt Cakes. 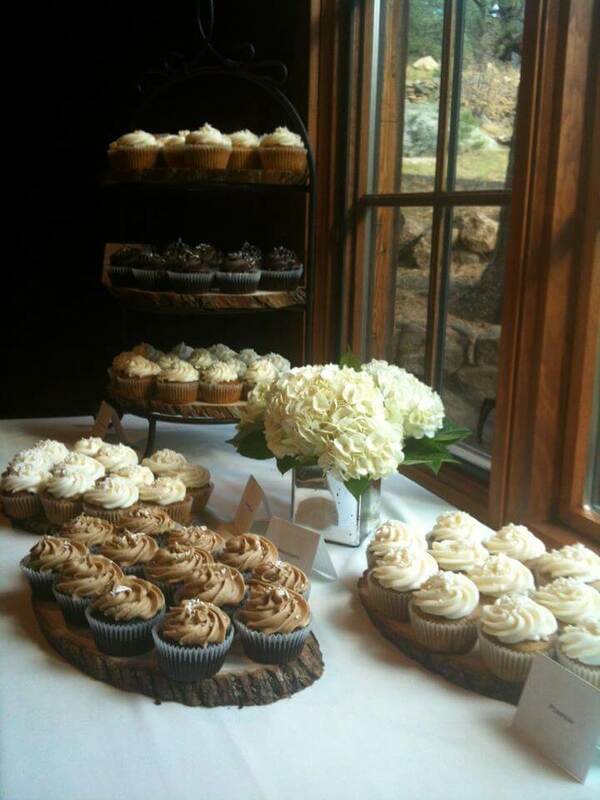 Kim and Jake’s Cakes in Boulder is a love story that became a gluten free bakery. This husband and wife team opened a bakery in 2010, began making gluten free bread in 2013 and have been a favorite ever since. Try their Cinnamon Raisin Buns or sink your teeth into the Chocolate Chip Sea Salt cookies to taste the love!